We do a lot of research before we purchase. For appliances, we read hundreds of reviews, literally. For example, we saw that the Jack Le'Lane juicer gets a ton of bad reviews, and that ultimately led us to buying the better less-known L-Equip juicer. My husband and I research and meditate thoroughly before making purchases above $80. We look for products that will be efficient, ecological, effective and long-lasting. Many products (especially appliances) are not offered with recycled plastic or with "energy efficient" options. However, the more long-lasting the product is, the better it is for the environment (because less of them end up rapidly filling land-fills). Also, the more effective the product is, and the more it does for you, the more ecological as well. Because your health and well-being is essential to a healthy planet, and the efficiency of your environment and home is crucial to your health. In other words, if you have a household that is stressful, that will cause you to make less-informed decisions which hurt others and ultimately hurt the planet's ecology. So even though not all of these products are as energy efficient as possible, they will reduce your stress, which is a crucial element of healing the planet. Originally we did all of this research for our own benefit. By spending six hours on researching a product, we saved ourselves having to spend six hours later on the phone with some customer service guy. It made sense to us. But we found that others often don't do as much research as we do. 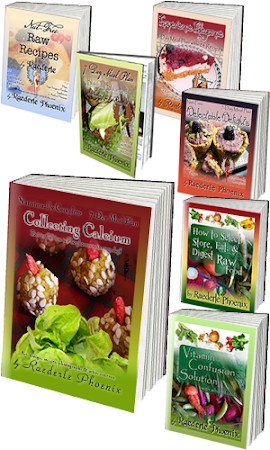 It is frustrating when making recipes and it takes longer than shown in my videos or indicated in my recipe books. It's also no fun when your products break shortly after purchase. We've found family members, friends and clients repeatedly asking us about the foods and products we buy and why. And so, to try to keep up with all the questions, I've created this page for your convenience. 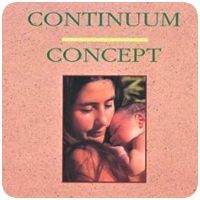 Vitamin Confusion Solution — The most comprehensive reference guide on nutrition available! For more detailed information about appliances, visit my dedicated appliance recommendation page. I adore my 14-cup Cuisinart Food Processor. This appliance is critical to healthy eating, whether you're eating a lifestyle that is paleo, macrobiotic, vegetarian, vegan or raw. A 9-tray Excalibur Dehydrator makes food that stores well, packs well, and lasts a long time. All of that, and you can eat warm food that is still raw and filled with enzymes. I recommend getting non-stick teflex sheets along with your dehydrator. The Omega 8005 Masticating Juicer is an excellent appliance for making nut-butter, ice-cream, wheatgrass juice (or any green juice) and puddings. It has two attachments, one is the "screen" that separates juice from pulp. The other is a "blank" which just ejects everything in one place. It's well worth-it to own both a masticating juicer and a centrifugal juicer. Why? The L-Equip XL Centrifugal Juicer will save you 95% of the time when juicing carrots and other large vegetables. Learn more about different kinds of juicers and juice recipes on my juice recipes page. Despite Vitamix becoming a household word, I standby the superior quality of the Blendtec Highspeed Blender . It is more compact, more versatile, more reasonably priced and more powerful. Don't settle for a cheap blender. My friend broke two Hamilton Beach blenders with frozen strawberries! One of the most transformitive changes in my kitchen has been switching to using Glasslock Storage Containers . Glass keeps food fresher longer and doesn't off-gas toxins into the food (unlike plastic). The square/rectangular shape of these containers is more space efficient than using rounded containers (like jars). And, when you buy a set (16 to 20 pieces), you pay as little as $2.50 per container. These containers are dish-washer safe (lids in the top of the dishwasher only), and oven safe (without their lids), and they are also quite durable and break-resistant. In four years, none of mine have broken despite daily use, bringing them on road trips, airplanes, picnics, and potlucks. A wooden bowl or bamboo bowl that you keep for life has got to be better for the environment that buying a new glass bowl every year or so. Also, wood and bamboo bowls, plates and utensils are lighter and easier to take to potlucks and picnics. Wooden and bamboo spoons have a nice light feel in your hand. And, when placing wood or bamboo utensils in your mouth, there isn't that harsh metallic clang as the metal hits your teeth. Another great use for bamboo kitchenware is for scraping pots with non-stick coatings. Bamboo and wood do not scratch the toxic coating, whereas metal utensils do. Another pleasing bamboo item is a folding dish rack . Elegant, simple and ecological (at least, in theory — the ecological impact of bamboo versus other materials is very complex, as I illustrate in my article Beyond Veganism). I use silicone trays for making brownies/truffles , chocolate bars , ice-cubes , and cheesecake . (Click the recipe type to see which silicone mold I use for the purpose.) Unlike plastic, silicone doesn't leach any toxins into the food. While silicone is more expensive than plastic, it is less likely to break (making it a more ecological choice), and it is easier to get out your frozen treats because the silicone is flexible. Silicone is also used for baking, but I just use mine for raw frozen treats. Click here to see some of my raw treats made using silicone molds. Please like my raw recipes page on facebook while you're there. Thanks! Mini citrus juicers are rather handy when juicing three or more lemons for a recipe, or several tangerines. I've yet to find a model that I'm really thrilled with however. They're all kind of hard on the wrists, but they are not as bad as lemon squeezers . Lemon squeezers may be inexpensive, but they're hard on the hands and they tend to let the seeds into the food anyway, which brings to me to the topic of strainers. Whenever pouring your lemon juice into something, I recommend using a mini strainer , just in case any seeds or parts of seeds got into the juice. One strainer to another is negligible in difference, with one exception. You do want to look for ones with a fairly sizable protrusion on the opposite side of the handle that is metal. Plastic ones tend to break. This protrusion allows you to put the strainer over a small bowl or cup hands-free. A quality Salad Spinner with a simple push-down button on the top makes drying greens a simple and easy process. The only quirk about owning a salad spinner is that after use, they need somewhere to be upside-down to dry (so that they don't develop mold over time). For this purpose, I have a dedicated drying rack where I store my salad spinner. Many food items are more practical to order online. They're less expensive that way, and they're shipped right to your door. No snooping around the health food store hoping it is in stock and that you can find it... Just put it on autoship and have it arrive monthly, every three months or every six months. A good rule of thumb with "superfoods" such as spirulina, cacao powder, chia seeds, goji berries, and goldenberries is that the price should be $1 per ounce, or less. That is $16 per pound, or less. In grocery stores, you'll often find these items at $1.50 per ounce, inflating the price to $24 per pound instead of $16 per pound. Online, I often find these foods as low as $12 per pound (75 cents per ounce). Even though I highly recommend using cold-pressed refrigerated oils on your salads (such as flax, hemp or chia oil), I recommend buying these from the grocery store fridge. When these are shipped to your door, often they are shipped without ice or cooling of any kind, sometimes spending five days or more without being cold. This is damaging to the omega-3 fatty acids and other important qualities of the oil. Raw organic nori sheets are a practical addition to any diet. They're nutrient dense, convenient and delicious. And, when you buy them online in bulk, you pay as little as 33 cents per sheet. Compare this to spending $1 per sheet when you buy 10-packs at the supermarket. Making your own nori wraps at home is an easy, inexpensive choice. Chia seeds have become all the rage in health food. While the nutritional benefits are often over-stated, the fact these seeds are much easier to digest than most seeds is still a tremendous benefit. Dried mulberries are one of my favorite snacks and recipe ingredients. These little berries are chewy (or crunchy if you refrigerate them), mildly sweet and taste a lot like honey. I use them as the vegan honey in my recipe Honeyed Turmeric Muesli. Raw cacao powder is powdered chocolate beans. Raw cacao powder is less bitter than coco which is roasted. Also, in its raw form, cacao caffeine level is so negligible, its less than white tea. Whereas chocolate bars have not only increased caffeine due to roasting, but added caffeine! Making your own chocolates at home with silicone molds is healthier, tastier, less expensive and easy! Schisandra berries are more nutritionally dense and antioxidant rich than any other superfood berry I've come across. This also means they have a very potent flavor. I enjoy snacking on these with a ratio of a single schisandra berry to a non-heaping handful of mulberries. Raw carob powder is nutritious, delicious and relatively inexpensive for a superfood. Many have bad memories of disgusting carob muffins baked by health-nut aunts and friends, but this gives the wrong impression of carob. Carob is naturally sweet when it is raw. Roasted carob isn't nearly as tasty. Try raw carob powder blended with frozen bananas for a simple, healthy, home-made ice cream. Cinnamon powder makes a very sensible online purchase if you use as much cinnamon as I do. 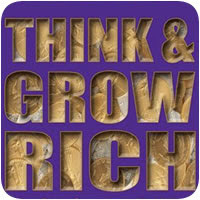 Online, you can find it as inexpensive as $8 for an entire pound of organic cinnamon. Try buying a pound of regular cinnamon as well as a pound of ceylon cinnamon. If you're going to take a while to use all of your cinnamon, keep the extra in the freezer for maximum freshness. Cinnamon helps slow the release of sugars, so this is a great addition to all desserts, especially for hypoglycemic and diabetic people. Vanilla powder is hard to find on grocery shelves and expensive even when you order it online... Yet, it lasts a long time because you only need to use a pinch to get a tremendously delicious result. Try mashing a ripe banana with a pinch of vanilla powder with a fork. Easy, delicious and healthy. I recommend powder instead of extract because the powder is pure vanilla bean, whereas the extracts all require a carrier such as alcohol, glycerin and/or sugar. Spirulina powder is a great source of easily digested protein (amino acids), as well as chlorophyll (evidenced by its dark green color). Like most sea vegetables, spirulina is very dense in nutrients, even compared to other nutritious vegetables. It does have a strong flavor. I recommend using a pinch in ice-cream, chocolates and other sweet treats. Kelp Noodles are a raw pasta alternative. They come in a moist packet and only require rinsing before consuming. If you prefer your noodles soft (these come fairly firm/chewy), then after rinsing, soak these for a few hours in fresh lemon juice with a little sea salt and a dash of fresh cold-pressed organic oil. These, unfortunately, are not available organic. That said, they are not GMO as far as I know, and conventional zucchinis are GMO, so if you're going to opt for zucchini noodles, make sure you choose organic zucchini! Not all supplements do something. In fact, many of them are a complete waste of money. I've tried literally hundreds of different probiotics, enzymes, powders and so on, and below I've only listed the ones that had a clearly noticeable difference for me. Better yet, each of the products mentioned below has phenomenal reviews and they have also proven effective for my clients, friends and family! Lugol's Iodine 5% has been a miracle for me and many people I know. Iodine deficiency is rampant in America. Healthy salts (non-table-salt) don't contain it, and you'll never get enough from consuming spirulina and nori. To make matters worse, most people never experience any benefits from taking it in tablet form, and friends of mine also tried it at 2% dilution and didn't get any results. Something about this particular iodine really works. Iodine is a halogen molecule, similar to chlorine and fluoride. Chlorine and fluoride get into your thyroid when you don't get enough iodine and don't come out of the thyroid until you get enough iodine. For me, my thyroid problems left me cold all the time. I started taking five to nine drops of this iodine in my hot tea daily and on the very first day I stopped being chronically cold! A friend of mine lost her need for glasses within a few months of starting this product. Iodine has also been shown to help with the damage caused by glyphosate, which is the main ingredient in Monsanto's RoundUp and present in conventional zucchini, corn, soy, alfalfa, cotton, and canola. Natren's Trinity Probiotics is incredible effective for any flora imbalance, including the common cold. Want to nip a sore throat in the bud? Take two of these, one the moment you notice the problem, and the next capsule the following evening. After trying literally dozens of probiotics, I've found this one most effective. I've also had clients, friends and family rave about the benefits of this product. While I'm using an Amazon link here so that you can see it and potentially get it online, it may be best to see if your local health food store has this product in their refrigerator, as it should always be kept cold for maximum potency. Ultimate Flora Probiotics is a brand I recommend for additional probiotic support if you're struggling with vaginosis, candida, yeast infections, urinary tract infections, bladder infections and/or kidney stones. Just like with Natren's Trinity, if you can find it locally in a health food store in their refrigerated section, they may have more potent product that has been cold more consistently. 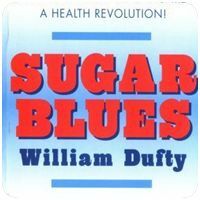 However, if you can not find it locally, click here to find it on Amazon. For the longest time I didn't get what all the buzz about essential oils was. I started out with clove oil back in 2007, for a tooth that was bothering me. A single dab was enough to make all the pain in my mouth go away, but even still, I underestimated how powerfully useful and healing essential oils could be. Later I discovered the power of using essential oils in place of tooth paste entirely. Essential oil quality: If the oil claims to be "food grade", which is a legal term, then it has been redistilled. This ensures safety for internal use. If the oil claims to be "therapeutic grade", it doesn't really mean anything. Like the words "natural" and "raw", there is no legal requirements for using these terms, so anyone can call any product "therapeutic". I found a great article on this topic that you can read here. I've used essential oils that are not food grade for dental purposes and on occasion in my food without suffering any negative consequences. Considering that I'm like the canary in a coal mine (a highly sensitive person), I suspect that organic essential oils that are not food grade are still safe and beneficial when consumed. Yet, I need to do more research on that, so consume essential oils that are not food grade with caution. Clove oil is incredibly effective for killing off bacteria of the mouth. Put one drop on your finger and carefully trace the edges of your gums outside and inside before bed every other week. This will eliminate and prevent most oral discomfort. Peppermint essential oil can be used plain instead of toothpaste. Just put one drop on your wet toothbrush and brush. Kills bacteria, cleans your teeth, and leaves you feeling fresh. Oregano essential oil is very potent and powerful, so use with caution. If you have chronic bleeding gums that do not go away when switching to peppermint oil and using clove oil on occasion, then add in occasional use of oregano oil on your gums. Oregano will kill parasites that burrow into the gums and cause them to bleed. While not everyone has these parasites, they are highly common. To use, dilute with fractionated coconut oil or water. Remember that anything on your skin also shows up in your blood stream, so don't settle for conventional skin products, and definitely steer clear of parabens and ingredients like sodium lauryl sulfate. Jojoba oil , while pricey for a skin oil, is the most effective oil I've found for genuinely hydrating and smoothing the skin. Jojoba oil is actually a liquid wax which balances the hormones in your skin, reducing blemishes and hydrating without clogging pores. Whenever using oils on your skin, I recommend using a hot wash cloth to rub the oil in, getting it into the pores and evenly distributed. Coconut oil can be used for food, hair, skin and "oil pulling". I strongly believe that the nutritional benefits are hype created by the industry to sell more coconut oil, but it is a delicious culinary oil that is great in raw vegan cheesecake and other specialty foods. I find that it causes me to break out if I consume more than a tablespoon in a day, or if I consume it daily, which adds to my suspicion that this food clogs up the intestines. That said, I love coconut oil for my skin and hair. To get effective use (and not just clog your pores and gum up your hair), create this mix prior to showering: put two heaping tablespoons of coconut oil in a tall mason jar that has a lid. Add a quarter cup to a half cup of apple cider vinegar. If you're working on increasing the health of your hair, also add five drops of rosemary oil to the mixture. Then add very hot water, filling up the jar. Then shower with organic soap, scrubbing your whole body twice with something exfoliating. Wash your hair with a mixture of apple cider vinegar and water without oil. Then rinse your body and hair until all the soap is gone. Shake up the mixture of oil, vinegar and water. If you have long hair, start by dipping your hair in the mixture and squeezing the excess back out into the jar. Then carefully pour some out onto your scalp and massage into your hair. Continue from there to apply the mixture to your entire body. Rinse with warm water if you feel you applied the mix unevenly and want to redistribute it. The result is very hydrated healthy hair and skin. In my bathroom, the only shower products are apple cider vinegar, coconut oil, organic soap and rosemary essential oil. Neem oil is known for its effective bacteria-fighting properties. It clears acne and is part of many effective blends for healthy gums and teeth. Unfortunately, I've been able to find a source of neem oil which is pure, powerful and organic, so I've been using the ZAJA brand. The way I use mine is by adding ten to twenty drops to a small glass dispenser with organic jojoba oil. I wash my face, then I rub the oil into my face, then I massage it in with a warm to hot washcloth, getting the mixture into my pores. I've found this very effective for eliminating dry skin and alleviating troubled skin. I am a writer. The quality and style of writing is crucial to enjoying a novel for me. In ways, it is more important than great characters, story and setting. In fact, if the writing is poor, I don't finish the first chapter. My four favorite fiction authors have above average writing abilities: Jo Graham, Karen Miller, Naomi Novik and Steven Brust. I recommend ebooks for seven reasons: They're less expensive for the consumer. They don't use up trees. They don't take up shelf space. They don't become dusty/dirty. They're infinitely more portable when moving or traveling. A nook or kindle is lighter in the hand than a book. Many new authors have self-published via e-books and are not yet (or may never be) available in print. I understand that most people enjoy the turning of a page, but ultimately, ebooks are more practical for you and for the planet. If you use nook, you can download software such as Calibre to convert kindle books into nook books. Calibre can also convert nook books into kindle books. The one thing to beware of with ebooks is that some have DRM (digital rights management) on them, which makes it so that you can't put your ebook on more than one device without entering the credit card number used when purchasing. This can be a long-term problem if you switch credit cards and can't find/recall the card used to purchase. This is to protect the seller from people sharing the files freely on the web. Not all ebooks have DRM. If this concerns you, you can look up whether an ebook has DRM on it or not prior to purchase. The Godspeaker Trilogy by Karen Miller is a fantasy trilogy taking place in a land without technology, but rich in foreign culture and belief systems. The writing is rich and deeply reflects the culture being portrayed. 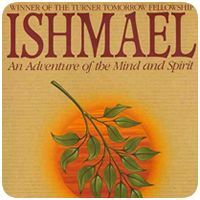 Throughout the trilogy some deep messages about the creation, use, and nature of religion and faith are conveyed. Hand of Isis by Jo Graham is my favorite book in the Numinous World series. Each book can be read as a stand-alone story, so it is okay if you read them out of order. That said, I believe the chronological order is as follows: Black Ships , Hand of Isis , Stealing Fire , The Ravens of Falkenau , The General's Mistress , and most recently, The Emperor's Agent . I've loved each and every one of them, especially the most recent two. Jhereg by Steven Brust is the first in a series about an assassin named Vladimir with a good sense of humor. This series makes me laugh out loud repeatedly, and also stimulates thinking about ethical issues, political issues and societal social dynamics. The Vladimir series is intended to be readable out of chronological order, but I recommend reading them in order, starting either with Jhereg or Taltos (pronouced Tal-Toe-sh). Taltos is the first chronologically and is about young Vladimir, however Jhereg tells the story of how Vladimir first got his familiar, a Jhereg (which is essentially a dragon the size of a hawk). You can get these with three-stories-in-one-book, however, they're combined in the publication order. I use Steven Brust's wikipedia page to reference the chronological order. This series is only available in ebook format if you purchase the nook books. The Temeraire series by Naomi Novik has never failed to disappoint me. Naomi builds fantastic characters, teaches history, and depicts fantastical wars and scenery in a tasteful, enjoyable and engrossing saga. The basic theme is dragons in the Napoleonic Wars. This is the same time period that two books I mentioned above take place in, The General's Mistress , and The Emperor's Agent . I recommend reading these two books near the time that you read the Temeraire series for a different perspective on this time period. The Temeraire series is from the British perspective, whereas Jo Graham's books are from the French perspective. The Temeraire books are astonishing in their apt ability to convey the culture, values and stigmas of the time through the eyes of dragonlore. The series takes you to China, Turkey, Russia, South America, America, Africa, Britain, France and other places besides, displaying a wide variety of cultures as well as a wide variety of ways that dragons can exist within a culture. The fascinating and fabulous thing is that Naomi somehow manages to insert dragons into history without losing any of the authentic feel of these locations and historical battles. The inspiring books I've read have been key in making me who I am. Most of my healing, motivation, and inspiration has come from books. They are powerful in their ability to hold and convey information. They're a bargain, even when you pay $30 for a single book. The books shown below are more or less in the order I recommend reading them. Book reviews below. 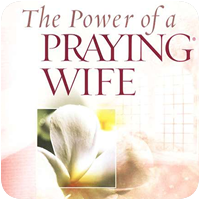 The Power of A Praying Wife by Stormie Omartian immediately hooked my attention. The wise Stormie opened up with the most important prayer... To pray for yourself to change. Pray to become strength, not for an easy life. This book comes from a Christian perspective. Even if you're not Christian, I encourage you to try the prayers in this book. 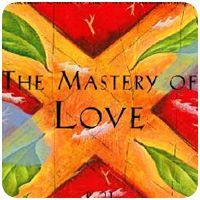 Going into a meditative state and visualizing yourself becoming a better, more forgiving, more loving, more honest person, all by itself, will have amazing impact. "Little by little, I began to see changes... Instead of reacting negatively, I prayed... I asked God to give me insight ... My husband's anger became less frequent more quickly soothed. You have to rise up and say, "I pray for an end to this conflict ... Take away the armor we've put up. Lift us out of unforgiveness..."
Think And Grow Rich by Napoleon Hill is for any person who wants to reprogram themselves to become a money-making genious. 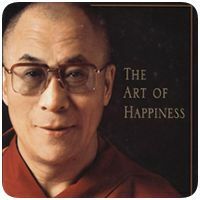 Actually, the principles in the book could be used to achieve any goal. 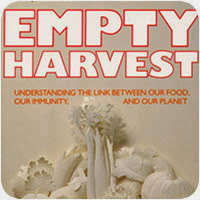 Empty Harvest by Bernard Jensen paints a very disturbing picture that really brings home the strong importance of permaculture, aquaponics, small farms and home gardens. Empty Harvest clearly explains the link between the lack of minerals in our crop soils and the modern day diseases associated with mineral deficiencies. The author shows many excellent examples of how mankind is slowly destroying it's future by robbing the Earth of the very things that give us and support life itself. This book is a bit "light weight" if you're interested in reading the nitty-gritty scientific aspect of things. 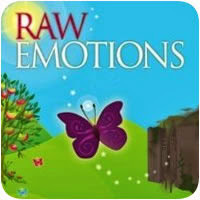 Raw Emotions by Angela Stokes is fantastic for anyone detoxing from emotional baggage. When you start a raw food diet or a vegetable juice cleanse, it is common to start detoxing emotions as well as the rest of it. That is where this book comes in to the rescue! Angela Stokes is renowned for her remarkable physical transformation - a 160lb weight loss with a raw food lifestyle. Whatever your current relationship with food looks like, Raw Emotions has something to offer you. Inspiring 'self-help' techniques with a lifestyle rich in fresh raw foods is a winning combination. Want to learn more? Sign up for my newsletter below.